Starting their career as a folk-country-rock band in the late 1960s, by the late 1980s the Nitty Gritty Dirt Band had reeled off more than a dozen consecutive hit country singles. 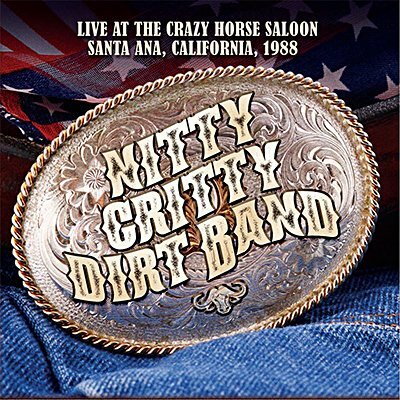 Performed at the Crazy Horse Saloon in Santa Ana, California, this 1988 set features several of those smashes, including the chart-toppers 'Long Hard Road (The Sharecropper's Dream)' and 'Modern Day Romance'. Also played on this Syndicated FM radio broadcast was their early-'70s Top Ten pop hit, 'Mr. Bojangles'.